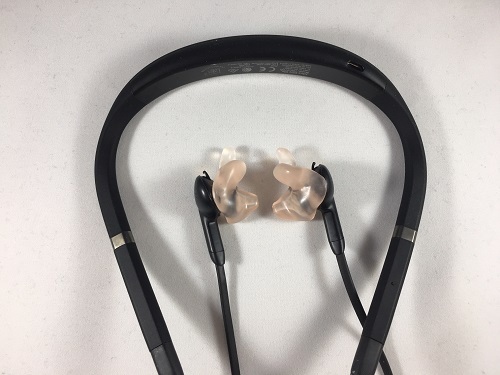 Earphones are incredible products but we receive numerous e-mails every month from customers looking for a way to improve the performance and fit of their earphones. Custom made Audio Earpieces from Avery Sound are the answer. Avery Sound Company can provide you with a pair of custom molded Audio Earpieces giving you the comfort and sound quality you deserve while reducing outside noise and they won't fall out of your ear!. Once your order is received, we will ship a set of impression kits to make an impression of each ear (or in the case of deep impressions, we will email you a Lab Order Form, see deep impression advisory). Mail the completed impressions to our lab using the our mailing materials or to the address at the bottom of the lab order form. We will use your impressions to make a reverse casting and return to you a set of custom made earpieces that will fit on your earphones and are guaranteed to give you the comfort and convenience you have been looking for. Which Jabra Earphones will work with Avery Sound Custom Earpieces? 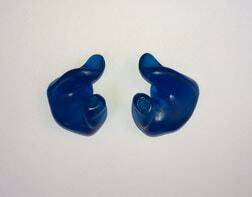 Our earpieces are not only custom fit for your ear but are custom fit for your specific model of earphones. Most people have standard speakers. Shown below are examples of Jabra Earphone Speakers with custom earpieces. If you do not see your model pictured send us an e-mail. We are adding new models every month. 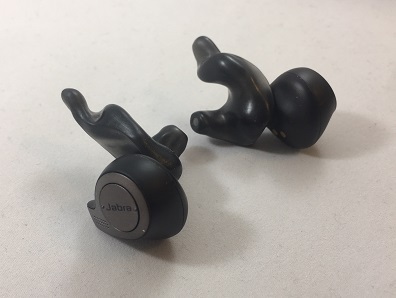 Jabra Elite Sport with our custom earpiece in black. Earpieces will need to be removed to fit into charging case. Jabra Elite 65e with custom earpiece in no color. Jabra Elite 65t. Also fits Jabra Elite Active 65t. Earpieces will need to be removed to fit into charging case. Thank you so much and many, many thanks. Always a pleasure to work with you. We can't wear anything but your earpieces anymore. Nothing else fits right. Your products are truly the best. We swear by them. I wanted to take a moment and thank you for the amazing work that went into making my girlfriend's Apple Bluetooth earpiece. It fits perfectly and she loves it. I'd also like to inquire about my impression (that was already used for my Apple Bluetooth). 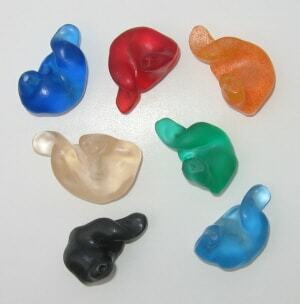 I'd like to mold my other ear and get an earpiece set sent out for my iPod earbuds. Thanks again ... your company is top notch. I received the earpieces and they work great....thank you! I just received my ear piece-for the jawbone-and I must say-I am 100% satisfied. I have never dealt with an online company-that simply did exactly what they advertised. Produce and deliver an excellent product. I will be ordering new pieces for my IPhone now. Thank you. I have NEVER sent anyone a testimonial. 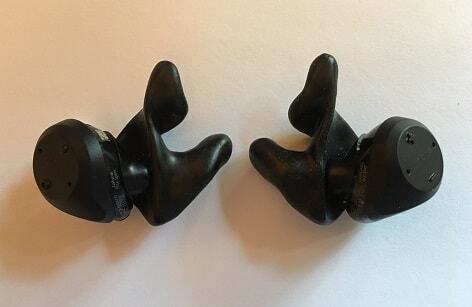 I have to say, however, that the best purchase I have ever made of any accessory for a cell phone was the Avery Sound molded ear pieces for my iPhone ear bud speakers and the Jawbone molded piece. As a psychiatrist, my hearing is of ultimate importance to me. With the addition of this product, I have been able to turn the volume setting from the highest to the lowest. The sound clarity is incredible: whether on a motorcycle, in a convertible, or in a busy hospital. I will be ordering sets for every family member in an effort to protect their hearing. Thank you for such an innovative and quality product. (Comments from customer after ordering a custom earpiece pair for the iPod earbud speakers) BTW, please let whomever knows or cares that I purchased a fitted earpiece for my Jawbone II a couple of years back and it has probably been the happiest purchase that I can remember. You guys do great work! !